One of my absolutely favourite things I love to do is look after my skin! I know that some people hate it and find it a chore, but I love buying and testing different products to see the effects and after feel of my skin! When I was younger I did suffer from quite bad spots and it made me feel really and about myself. I'd feel ugly and like nothing would work for me. I used to cleanse, tone and moisturise but I had nobody to teach me how to do it properly so more often than not I'd get it wrong and end up in more spots! It was horrible! From left to right: simple kind to skin moisturising face wash, clear skin pore penetrating scrub. When I wake up, one the the first things I have to do is clean my face of the Bacteria from the night before. I own a face cloth so I don't transfer the oils from my hands. I start with using the clear skin pore penetrating scrub as I tend to have large pores and blackheads. I've used this product for a few months now and it definitely works! I'm seeing results with smaller pores and it clears up blemishes in the skin. The scrub deepens into the skin and gets rid of unwanted bacteria. The only downside of this product is that it can be a bit too much, which is why I sometimes use the simply kind to skin moisturising face wash. It lathers into a soap and gently washes the skin and doesn't strip the skin of my natural oils. Before bed I wash off all my makeup and clean skin. For me it's the worst thing in the world to sleep in makeup and your just asking for spots! I definitely have a routine for clearing my makeup. 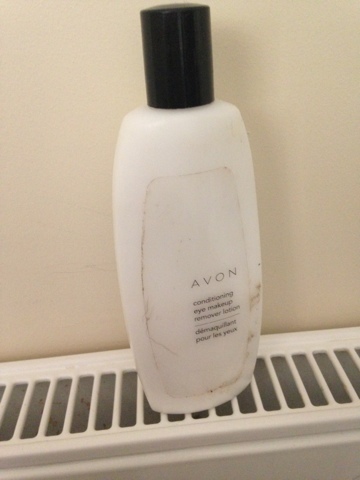 First off, I take off my eye makeup using Avon conditioning eye makeup remover. It comes out like a white lotion and massage it into my lash line to get rid of my mascara and eye makeup. It comes clean off with my face cloth and it's so easy to clean. It doesn't sting my eyes and its really great for getting rid of the last few bits of mascara that are really stubborn to remove! From left to right: simple kind to skin purifying cleansing lotion, clear skin blackhead clearing daily cleanser. After taking off my eye makeup, I used a cleanser to cleanse my skin and remove makeup. As I said before i suffer from blackheads and quite big pores so I use clear skin blackhead cleanser almost every day and I've definitely been seeing results! 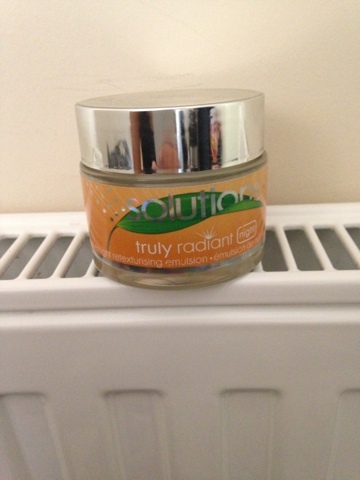 It had cleared up my skin from redness, trouble spots and blackheads! The product is a clear blue liquid with blue crystals that act as a scrub to get beneath the surface of your skin to clear it. It really does work great! But on the other hand, I love the simple range and especially the cleanser! I love the no colour, no fragrance policy of the simply range and I really do think its one of the great things about this cleanser! It clears my skin and makes it feel super soft and moisturised! When I've taken my makeup off I like to exfoliate. People say not to exfoliate everyday as it can damage your skin so I tend to use this product every 2/3 days. I love this product! It's super easy to use and works like a dream! 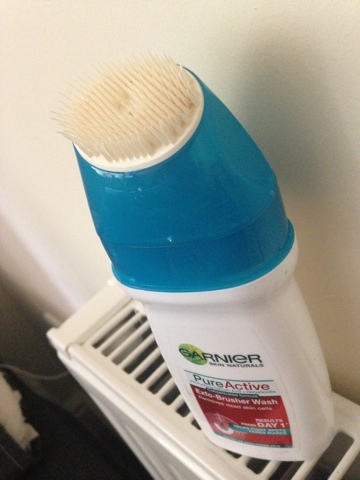 The head of this product has bristles that acts as a brush on your skin as the products comes out of the top. I use it in circular motions on my skin as it makes a foam. It gets rid of any excess dirt and oil and really does clear my skin! 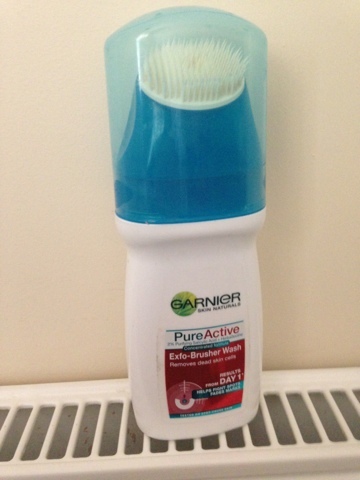 It's really easy to clean off the skin and doesn't feel tight and rough after I've used it! When I know my skin is clean and clear, I like to put the moisture back into my skin by using retexturising emulsion. The product is a shimmer product when I put it on my skin it turns clear and settles into my skin beautifully. 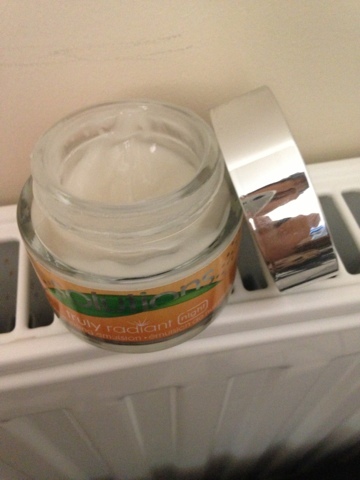 It feels makes my skin feel soft and like I've just washed off a face mask! I've had this product for about 3 months and I've still got well over half a pot! I definitely recommend this product if you have dry skin or need a bit of a vamp in your skin care routine! 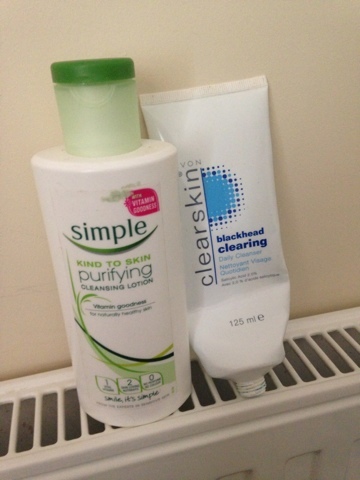 For a moisturiser I like to stick to the same brand that I use and don't like to switch brands too much so I use the simply kind to skin moisturiser. It pulls together my routine perfectly and just finishes off my skin care making my skin feel pull of moisture and really does work!